This paper aims to investigate the role of Bangladesh National Museum to safeguard intangible cultural heritage which is considered as the fundamental of tangible culture. Unfortunately, for the contentious impact of modernization, our intangible cultural heritages are under serious threat to its existence which is very alarming for us because if we fail to preserve our intangible cultural heritage, we will lose our entity as a distinctive nation in the map of the world. National Museum as a pioneer organization of the government play effective role to safeguard intangible cultural heritage in many ways. The cultural heritage of Bangladesh is very rich and historically highly regarded by the world community as it has uniqueness and specialities which are very distinct in character. This heritage includes both tangible and intangible cultures. From the primitive age to the present day Bangladesh is an arable soil of intangible cultural heritage like song, rituals, tradition, dance, performing art, festive, games, cuisine, folktales and architecture.etc and these intangible heritages have significant influence on the way of life of the people which makes Bangladeshi people distinct from other nations. It should be mentioned that the tangible culture of Bangladesh is very uniquely unique like craft, different type of objects and all antiquities. Bangladesh National Museum has started its journey in 1913 as Dhaka Museum. Dhaka Museum was located at Nimtoli Baro Duari area of Dhaka with two rooms. Eventually, Dhaka Museum transformed upgraded as Bangladesh National Museum in 1983 and shifted to present building at Shahbag. Bangladesh National Museum has a collection of near 86 thousand antiquities. As a wing of the Ministry of Cultural Affairs, People’s Republic of Bangladesh, Bangladesh Namtional Museum is playing vaital role to preserve tangible and intangible heritage of the country and portraying rich, positive and bright image in front of the world community. On August 7, 2013 Bangladesh National Museum celebrated its 100 years of establishment. In its long journey, it has taken many milestone initiatives to safeguard intangible cultural heritages. Both primary and secondary data have been used to prepare this paper. Primary data were collected from the interview and discussion of the Bangladesh National Museum staffs. And secondary data were collected from different books, journals and articles. When sociologists talk about culture, they are more interested about the features of society which are learnt rather than inherited and these features help members of the society to co-operate and communicate with each other which facilitate them to create common platform to survive in a society. Culture consists of both intangible aspects and tangible aspects. Intangible aspects include belief, ideas, values and tangible aspect includes the objects, symbols and technologies which correspond to that aspect (Giddens, 2001). Culture comes from the Latin word ‘colere’ means ‘to cultivate’ to ‘to till the soil’. Smelse (1993) defined culture as ‘a set of values, views of reality, and codes of behavior, held in common people who share a distinctive way of life’. Schaefer (2006) identified culture as ‘ totality of learned, socially transmitted customs, knowledge, material objects, and behavior’. Giddens (2001) has given a broader view about culture .He says that culture refers to the ways of life of the members of the society, or of groups within a society. Why should Intangible Culture be safeguarded? It is indeed very important to safeguard intangible cultural heritage like tangible cultural heritage. In fact, intangible cultural heritage is treated as the foundation of tangible cultural heritage. If we do not take appropriate measure to safeguard intangible cultural heritage, it will be very difficult for us to preserve and cherish our culture. Westernization, Americanization, Indianization, Urbanization, industrialization and above all because of the impact of the globalization our norms, values and rituals are changing and many of our folkways, morse and folk culture are disappearing and some are losing distinctiveness. Because of the information technology and media, foreign culture is becoming a part of our culture and influencing our life in many ways. To exist as an ethnic group and as a nation it is really essential to safeguard our intangible which is considered as the manufacturing element of tangible culture. To safeguard intangible cultural heritage public awareness, collective endeavors of local community and government organization and appropriate laws are needed. Some specific steps should be taken;; Identification of intangible cultural heritage, preparation of inventory and introduction of awareness programme (UNESCO, 2012). Bangladesh is a land of poets, novelists, intellectuals, politicians, artists and journalist who immensely contributed and, in fact, are contributing to the socio-cultural development of the country and without this contribution society cannot be progressive or as a nation we could not be able to identify as an enlightened nation. Henceforth, in 1985 Bangladesh national Museum has taken a landmark initiative to interview eminent personalities of different fields in audio format and US Ford Foundation was kind enough to finance the project considering the importance and need which eventually helped enrich the collection of Bangladesh National Museum and opened an opportunity for the new generation to know about their distinguished predecessors and their views and philosophy of life and the society as a whole. The project title was ‘The Oral History of Bangladesh’. Under this project, Bangladesh National Museum was able to interview 100 eminent personalities including Abu Jafar Shamsuddin, Justice Abdus Sattar, journalist Md. Nasir Uddin, Poet Sufia Kamal, writer Monsur Uddin, Mokhlesur Rahman (shidhu mia), Basonti Guha Thakurota, Doc. Ahashanul Haque, with two different views firstly, to preserve the biography of those persons and secondly, to bring out socio-cultural, political and economic condition of the country of that time through their interviews. It was expected that this audio archive would able to work as a store house of knowledge for many research and references in future. Understanding the reality and significance, Bangladesh National Museum has taken further initiative to publish a book converting the audios named ‘A Hand Book of Oral History’ in English which is stored in the library of the museum and accessible for the people in large(Bangladesh National Museum, 1992). Keeping that success in mind and realizing the importance, national museum authority has initiated second phase of the project from 2012 where another 100 persons are enlisted to be interviewed and it would be recorded in video format and a book will be published in due course. This project is running successfully and ten interviews are already recoded. Professor Shordar Fajlul Karim, Mostofa Nurul Islam, Professor Shalauddin and Nurjahan Begum remarkable are among them. Another notable step in respect of safeguarding intangible cultural heritage taken by Bangladesh national Museum was the making of video documentary of few districts which have historical heritage and are famous for rich culture. The districts are Rajbari, Mymensingh, Panchagor, Dinajpur, Rajshahi, Thakurgaon, Naogaon, Cumilla, Chittagong, Kushtia, Bhola, Pirojpur, Coxes Bazar, Bandorbon, Netrokona, Tangail, Jinaidaha and Bhola. The initiative was made in the year 1993. Three different steps were taken to complete the package. 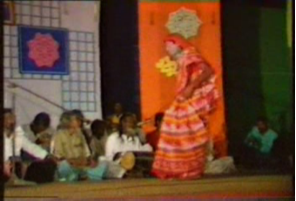 Firstly, all the historical places were recorded in video format and narration was added later on, secondly, with the help of the District Commissioner office a fair was organized and recorded accordingly to demonstrate the festive mode of Bangladeshi culture and its inner artifacts and folk song, Ghetu gan, lati khela, palagan, putulnach, snake-charming were included in the fair as well, thirdly, interview of the local eminent persons were recorded as witness statements to bring our the history, culture and tradition more authentically. It should be mentioned here that many historical places were comprehensively covered under this project like pirojpur kumar para, sundorbon, Monpura in Bhola district (Floating area), kantojirmondir in Dinajpur, Kusumba mosque in Naogaon, laloner mazar in Kustia, moynamoti in Comilla, paharpur bihar in Rajshahi including local famous mosques and temples. 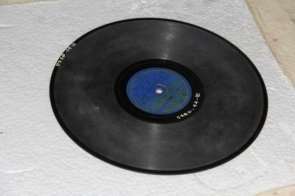 Bangladesh National Museum as a catalyst to preserve national history and heritage owns 123 gramophone record of many famous singers of Bangladesh which is not only significant in the history of Bangladeshi music but also reference source for future research. The records include the song of Abbasuddin, Kanon Devi, Komoldas Gupto, Shochin Dev Bormon, Baul Song etc. In the year 1996 December, seven days long Reminiscence Programme on Liberation War was organized by Bangladesh National Museum. 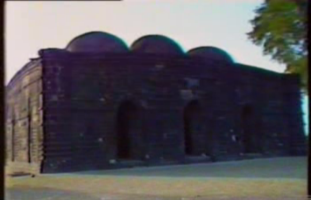 Seven different groups of people shared their memories of Liberation War and it was recorded in video format and the groups were constituted with Civil Freedom Fighter, Politicians, Cultural Personalities, Journalists and Artists, Administrative Officer of the Mujib Nagar Government, representative of Military, Para- Military and Police, family members of the Intellectual Martyrs and members of the Shadin Bangla Beter Kandro. The video documentary is preserved in Bangladesh National Museum as one of the valued documents of Liberation War with versatile information. 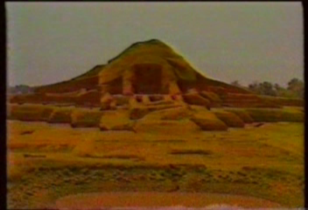 Documentary on Shitol Pati and Rickshaw Painting was made in the year 1999. A team from Bangladesh National Museum went to Balagonj of Sylhet district which is famous for Shitol Pati and made a documentary on that. All the steps of Shitol pati fabrication was recorded, starting from cane collection to weaving. National Museum officials also went to Rayer Bazar of Dhaka which is a famous place for Rickshaw Painting to record the technique of Rickshaw Painting which is considered as colorful folk paint. Bangladesh National Museum takes initiative to celebrate Bangla New Year every year and fair and cultural programme performed by folk artist are organized as part of the celebration. In New Year fair different stalls are positioned with Pittha, handicrafts, pottery, dolls, local home decor, local musical instruments and others. Performers and singers from all over the country are invited in the New Year cultural fair. Concerned department of Bangladesh National Museum gives profound efforts to bring the artists from different parts of the country targeting those types of artists who have unique ability to perform folk song which are under serious threat of the influence of so called modern song. Our indigenous songs like Baul, Lalon, Vatiary, Jari, Sari and Pala are performed by the artist which create the interest among the spectators and give them opportunity to reiterate their love to the indigenous song. This initiative of Bangladesh National Museum should be considered as a perfect inventiveness to transmit and promote indigenous song in a turbulent cultural atmosphere. Every year Bangladesh National Museum arranges an exhibition on our traditional craft. Here they exhibit the process of craft, like jamdani weaving, Shitol pati weaving, pottery making , tribal cloth weaving, Shola crafts, metal crafts etc. Every year Bangladesh National Museum arranges this exhibition to encourage the folk artists and also speared out this knowledge our new generation. From the above discussion it is clearly understood that a leading organization of Bangladesh Government, National Museum is taking numerous steps to safeguard intangible cultural heritage through research, identification, documentation, preservation, protection, promotion, enhancement, transmission, particularly through formal and informal approach, as well as the revitalization of the various aspect of such heritage. For some predicaments like insufficient budget, bureaucracy, training and other requirements Museum is unable to extend the limit of its operation in regards to safeguard intangible cultural heritage. If these problems are solved, and if, it can work to its desired level, in future, she could play a very effective role to safeguard intangible cultural heritage which she is doing with lots of pride in the case of tangible cultural heritage. "National Museums: Safeguarding Intangible Cultural Heritage." UKEssays.com. 11 2018. All Answers Ltd. 04 2019 <https://www.ukessays.com/essays/archaeology/the-role-of-bangladesh-national-museum.php?vref=1>. "National Museums: Safeguarding Intangible Cultural Heritage." All Answers Ltd. ukessays.com, November 2018. Web. 25 April 2019. <https://www.ukessays.com/essays/archaeology/the-role-of-bangladesh-national-museum.php?vref=1>. UKEssays. November 2018. National Museums: Safeguarding Intangible Cultural Heritage. [online]. Available from: https://www.ukessays.com/essays/archaeology/the-role-of-bangladesh-national-museum.php?vref=1 [Accessed 25 April 2019]. UKEssays. National Museums: Safeguarding Intangible Cultural Heritage [Internet]. November 2018. [Accessed 25 April 2019]; Available from: https://www.ukessays.com/essays/archaeology/the-role-of-bangladesh-national-museum.php?vref=1.